In my previous blog I explained the strategic decisions and challenges related to our plant extension project. From exploratory land surveys, architects and planning meetings, engineering design, and ultimately the construction of the factory. This took an amalgamation of skills and detailed project execution to successfully delivered the concept objectives. Situated in the picturesque setting of North Cardiff, we also were respectful of the environmental impact of extending the facility. Biocatalysts are an award-winning sustainable and ethical manufacturer environmentally accredited to ISO14001, a standard to which the project team were keen to embed within the factory extension. As a result, we designed the extended facility incorporating aesthetics which mirrored the existing building. Ultimately, we wanted the extension on completion to look….nothing like an extension. The internal specification was developed to accommodate a £6M equipment investment, so meticulous planning was key to meet the standard of finish and detail we want to maintain. 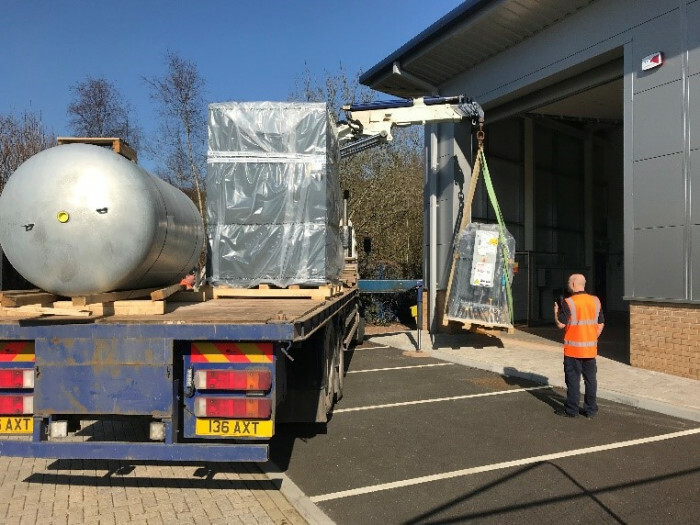 Additionally, capitalising on time during pre-delivery of fermentation platforms and vessels, the Biocatalysts team ensured the construction met all our long term expectations of the facility with extensive preparation and cleaning activities. Another key project objective was to ensure the utilitiy requirements to power the extension were planned accordingly. With a further challenge to ‘future-proof’ the site, we had to evaluate existing power demand, assess future requirements, and predict usage for a further planned fermentation expansion in 2021. The most efficient method to ‘future-proof’ utilities was to incorporate the long term expected demand for electricity and gas within the early project design. This meant we over specified and increased project costs during the early phases of the project, but means we will negate the requirement to re-engineer utilities at a later date which would cause disruption to exisiting site, services and manufacturing. Achieving our utility requirements eventually proved to be more challenging than initially expected, frustratingly both gas and electricity required significant upgrades to our existing supply if we wanted to ‘future-proof’ the site. However, with an on-site 1000kVA electricity sub-station now successfully installed, our future demand for electricity is secured and with similar upgrades scheduled to the existing gas supply the project utility challenge will be successfully completed on time. Now that the site utility upgraded is completed, we are prepared for the next significant project phase; full equipment installation. We envisage up to 6 months of plant and vessel integration within the factory extension, while we transform the conceptual drawings into a working fermentation facility.